A Swiss bakery in Chicago, which was forced to let go of 800 of its working staff after an immigration raid earlier this year, is struggling to earn the kind of profits it made before the raid happened. Cloverhill Bakery, which used an unnamed staff recruitment agency to hire its work staff and did not bother double-checking if all of them had proper documentation needed to work in the U.S., ended up losing 35 percent of its work staff after the raid. The company, which also makes hamburger buns for the McDonald’s Corp., has ended up losing $21 million since the raid. Chief Executive Officer Kevin Toland told Bloomberg that although they had managed to re-staff their facility, it was far from functioning like a well-oiled machine. The parent company of Cloverhill Bakery — Aryzta AG — said it was struggling with retaining immigrant staff in its companies based in the U.S. after President Donald Trump’s promised crackdown on undocumented aliens in the country. The firing at Cloverhill Bakery is by far one of the biggest employment debacles since the president voiced out his agenda to curb undocumented immigrant population in the U.S. 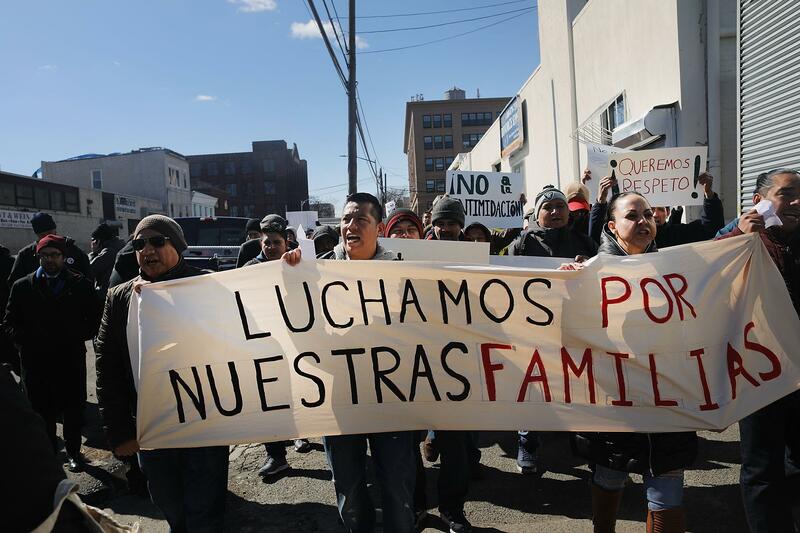 In March, huge protests broke out after New York’s Tom Cat Bakery fired 24 illegally working immigrants. This was done after 30 of their 180 employees were told to produce the documentation required to prove their legal status in the country at an I-9 immigration audit by the Department of Homeland Security. The people who failed to provide the required documentation ended up losing their jobs. Following the mass job termination, several dozen bakery workers, union organizers, and workers’ rights advocates took to the streets of midtown Manhattan with chants of “Qué queremos? Justicia! Cuando? Ahora!” (“What do we want? Justice! When? Now!” in Spanish) and “When immigrants are under attack, stand up, fight back!” Civil Eats reported. According to a 2014 Pew Research survey, there were eight million unauthorized immigrants in the U.S. working or looking for work. Among the undocumented immigrants who were gainfully employed, 35,000 worked as bakers, 425,000 worked as cooks and an additional 25,000 worked in food processing industries like fruit and vegetable preserving and specialty. Apart from that, at least 50 to 70 percent of the country's 1.5 to two million strong hired farm workforce is comprised of unauthorized laborers, an assessment by The American Farm Bureau Federation shows. Industry experts have opined that due to Trump’s “America First” campaign, farms and factories could be left scrambling to fill the unprecedented number of spots left vacated by immigrants and the price tags on food — particularly produce and dairy — might soar to extreme levels. "There's a misconception that [undocumented immigrants] have been taking jobs other people would do," Dr. Laura-Anne Minkoff-Zern, an Assistant Professor of Food Studies at Syracuse University, told Munchies. "For the most part that's been proven false. People born in urban areas who are coded as white are not willing to take these jobs. They pay very low, are not eligible for overtime, and workers can't organize."